2. Mix together coconut oil, cacao, chia seeds & chilli then slowly add rice malt syrup, tasting as you go to ensure you get you desired sweetness. 3. Pour quickly into the container & pop in the freezer for 1 hour. raw vegan chocolate made with coconut oil is very rich so take it slow! The chocolate can be stored in the freezer or fridge but don’t leave out as it will melt quickly! 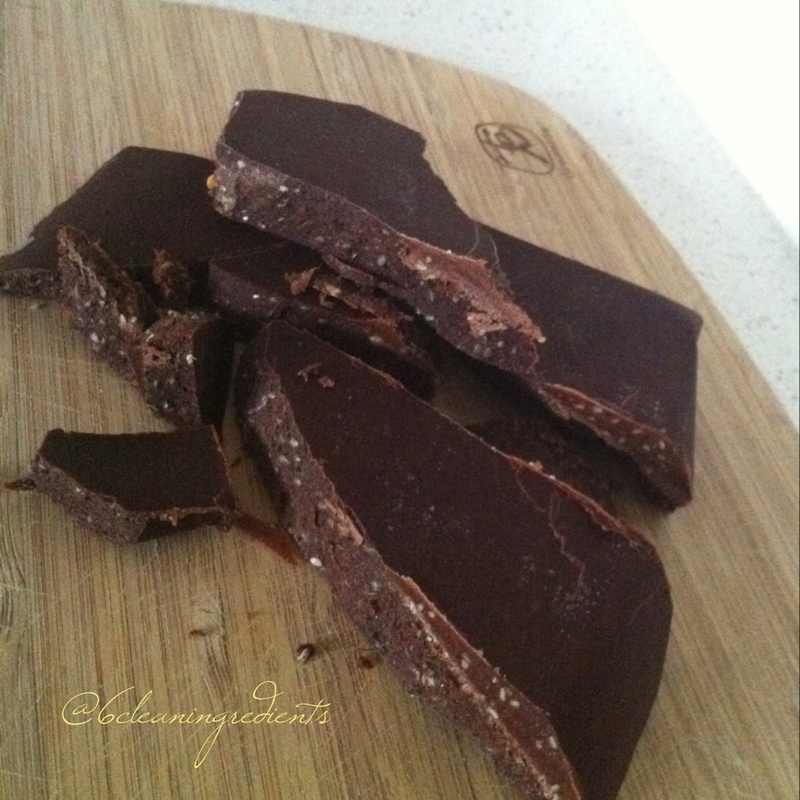 This entry was posted in Recipe and tagged cacao, chia, chilli, chocolate, coconutoil, dairyfree, glutenfree, iqs, paleo, rawvegan, rawveganchocolate, refinedsugarfree, ricemaltsyrup, vegan by 6 Clean Ingredients. Bookmark the permalink.